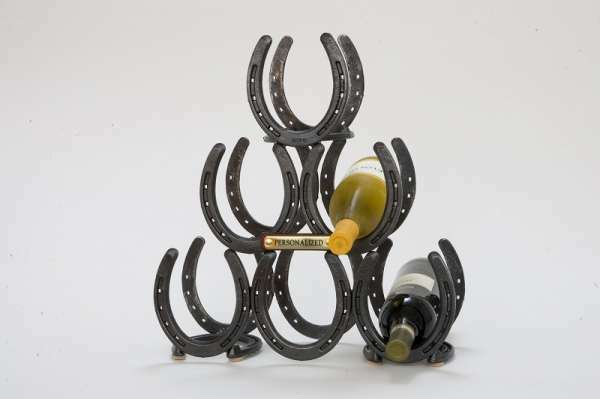 Welcome to Bluegrass Wine Rack Company's online order center. We accept Visa, Mastercard, Discover, American Express, and online checks through Paypal. 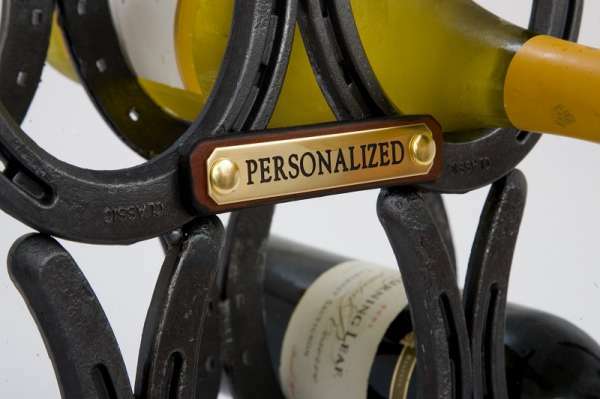 Your authentic steel horseshoe wine rack can be personalized with a solid brass nameplate. We are a UPS shipper. 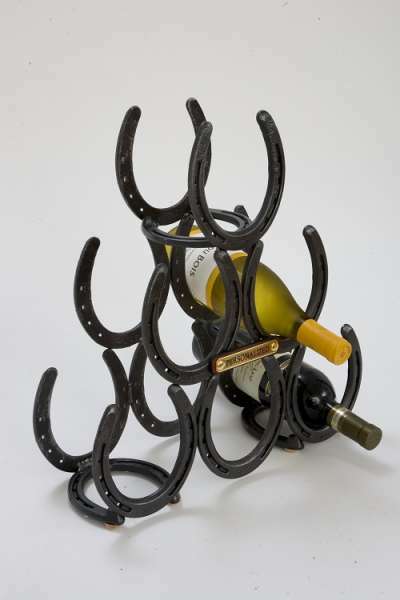 Shipping and handling charges for each Authentic Horseshoe Wine Rack are $20 via UPS Ground service to the Continental United States. Shipping outside the Continental US generally costs USD $44; however, in some cases shipping outside the Continental US may be more. 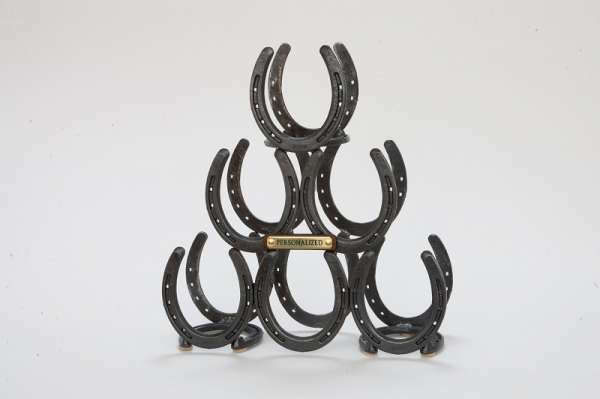 We will contact you before processing your order if the shipping cost is over $44. We do not convey your information to anyone. If you order, a few trusted employees will see your information. 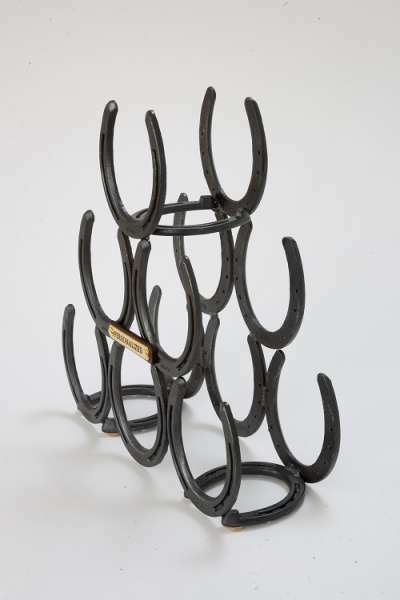 Dimensions: 17" H x 15.5" W, Depth 4 3/8", Wt. 11 lbs. Shipped to you in distinctive packaging. Wine bottles not included. Allow 10-14 days for delivery.